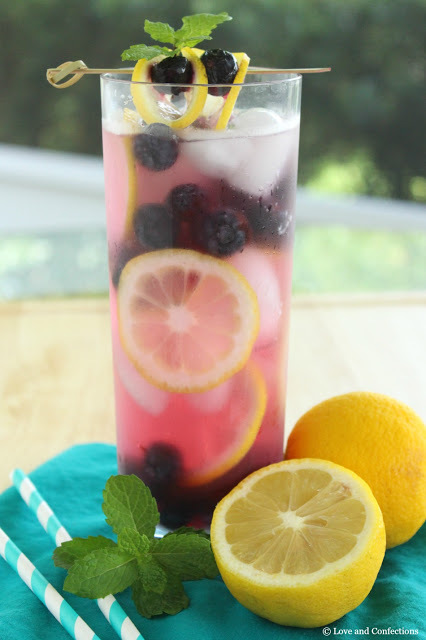 Lemon Blueberry Water is a refreshing way to stay hydrated. 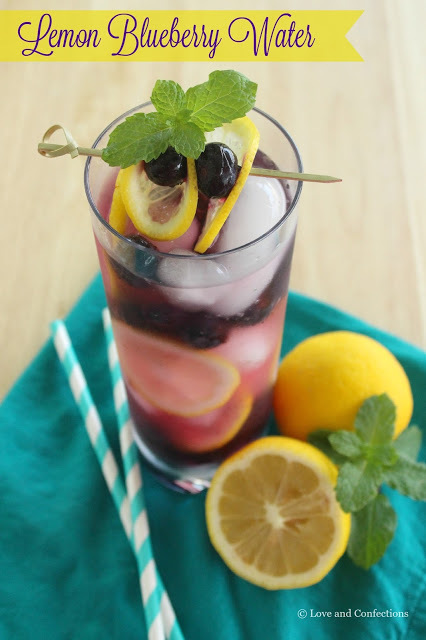 Lemon and Blueberries are a match made in Heaven and this infused water is sure to become your drink of choice. Lemon and Blueberry is one of my favorite flavor combinations! I love starting my morning with a Lemon Blueberry Parfait, enjoying a cold glass of Lemon Blueberry Iced Tea for an afternoon treat, or indulging with Lemon Blueberry Crepes for dessert. I still have a good amount of frozen blueberries from when we went picking earlier in the year. I use them in everything like muffins and pancakes, smoothies, and to flavor water. The weather here is still a bit warm and I cannot wait for the cooler Fall weather to arrive. Until then, I am enjoying some refreshing glasses of infused water on warm days. I also created a Cucumber Mint Water that you should have a look at too! 1. 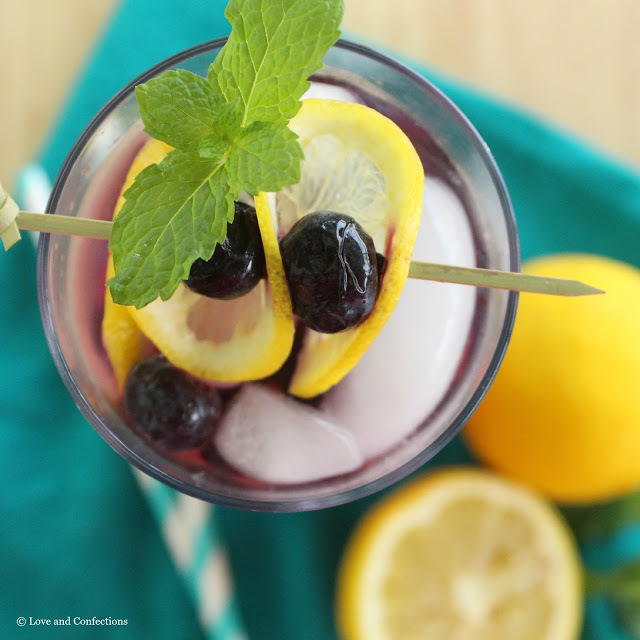 In 2 tall glasses, divide the Blueberries and Lemon Slices and place them in each glass. Top with Ice and Water. You can drink right away, or store in the refrigerator for a few hours so the flavors meld. enjoy!